Heir to Mt. Fuji's spirit kingdom, Sora yearns to finally take on the sacred kami duties. 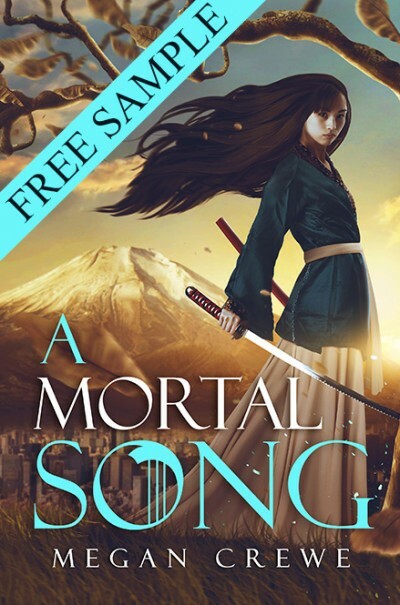 But when a ghostly army invades the mountain, she makes a heart-wrenching discovery: she is a human changeling, raised as a decoy while her parents' true daughter remained safe but unaware in modern-day Tokyo. Now, with the world's natural cycles falling into chaos and the ghosts plotting an even more deadly assault, it falls on her to train the unprepared kami princess. Sora vows to keep fighting despite her emerging human weaknesses, but for one mortal girl to make a difference in this desperate war between the spirits, she may have to give up the only home she's ever known.